I saw this article the other day (World’s largest beaver dam explored by Rob Mark) where he trekked 9 days to get to this beaver dam (don’t ask me why). What was interesting to me, though, was the fact that this dam is close to 30 years old, and was found on Google Earth. 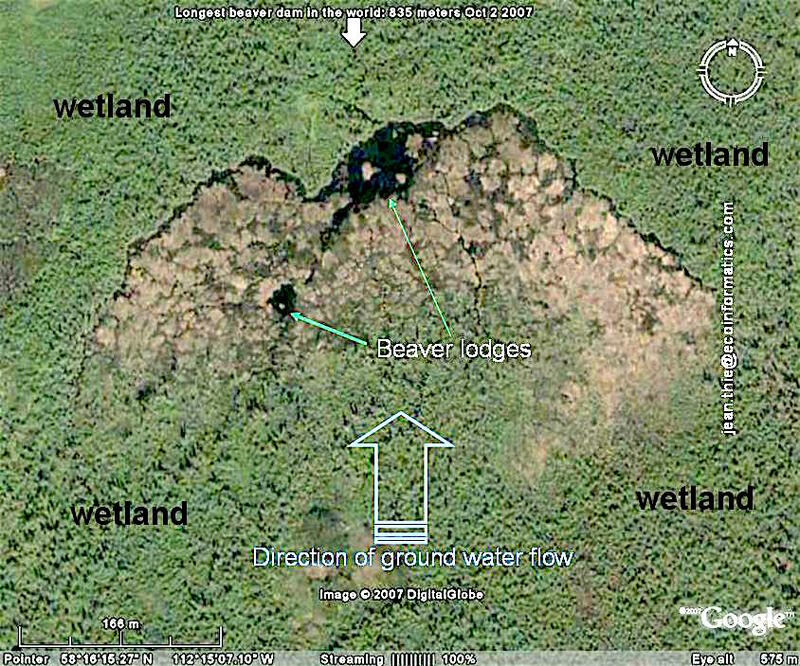 Some other links in that application took me to a website where I learned more about this beaver dam than I ever thought I would. However – what really was interesting to me is how detailed, and how historic, a lot of the map were. There are maps from 50 years ago, 3D maps, elevation profile maps, geologic maps, LANDSAT maps – all to describe this one beaver dam. If you love beavers, or if you love maps, while the article is VERY academic, you have to love the maps (and the beavers of course).